Home Research, Resources Dama X—How do you say Xochiquetzal? 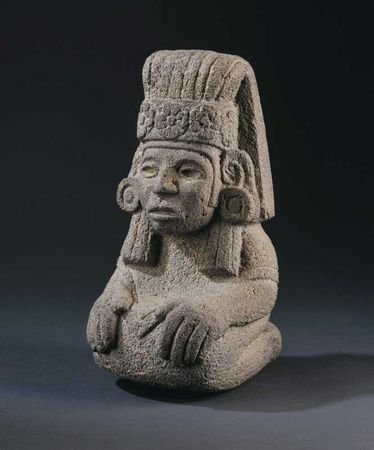 In both A Surefire Way and Dama X, the Aztec goddess Xochiquetzal plays an important role. Our heroes will sometimes shorten her name to Xochi. Thanks to Emma Saying, a site listing thousands of word pronunciations, for this video that shows how to pronounce this Nahuatl (Aztec language) name. She is one of my favorite characters in U-Sec series and whose backstory I want to tell in another book. She is the Aztec version of the goddess Venus, associated with love, female sexual power, and beauty. Her name means feathered flower. She was the first wife of the god Tláloc before being abducted by Tezcatlipoca and taken to the underworld with him. She’s a multi-faceted goddess. One who represents rebirth and fruitful earth yet the ceremonies in her honor would involve virgin sacrifices with supplicants cutting their tongues while confessing sins to purify themselves. I’ve only touched on the rich history of the Aztecs and Mesoamerican myths in my books. Click here for more information about Xochiquetzal.